A recent study published in the Journal of Neurology, Neurosurgery and Psychiatry found a connection between the drug sodium valproate and increased risk of neurological disorders, including autism. The drug is commonly prescribed to epileptic patients to reduce symptoms of the disorder. Slightly more than 525 children born from 2000 to 2004 were included in the study. Half the children were born to women taking medication during pregnancy for epilepsy. The remaining half did not suffer from the condition and were not treated during pregnancy – control. Among the medicated group there are several treatment protocols used. Fifty-nine women were treated with Carbamazepine and another 59 were prescribed sodium valproate. Thirty-six women were given lamotrigine and 41 were treated with a combination of multiple medications. The remaining 15 women in the active group of the study were treated with some other epileptic medication. Children were evaluated by researchers at one year, three years and six years. Of the original study group, 415 complete data sets were collected. Nineteen of the children were diagnosed with a neurological disorder by the six year check-up. Three of the children with neurological disorders also had physical disorders of some kind. Of the children diagnosed with neurological disorders, 12 were diagnosed with autism. ADHD and dyspraxia were also common in the affected children. When the children were broken into groups based on whether or not he mother was treated for epilepsy during pregnancy, researchers noticed a huge clinical gap. More than 7% of the mothers treated for epilepsy gave birth to children who would later develop a neurological condition, compared to less than 2% in the control group. Researchers then pinpointed one medication that caused a higher risk of neurological disorder than any other epilepsy medication used during pregnancy. Twelve percent of the women who used valproate alone and 15% of the women who used valproate as part of a combination therapy treatment gave birth to children later affected with a neurological disorder. Male children were three times more likely to be affected than female children. 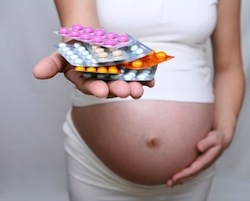 Valproate may not be the best, first choice for epilepsy treatment during pregnancy. When valproate is the only medication to effectively treat symptoms, using the medication as a standalone treatment may slightly lower risk of neurological complications in offspring. Source: Rebecca Louise Bromley, George E Mawer, Maria Briggs, Christopher Cheyne, Jill Clayton-Smith, Marta García-Fiñana, Rachel Kneen, Sam B Lucas, Rebekah Shallcross, Gus A Baker. The prevalence of neurodevelopmental disorders in children prenatally exposed to anti epileptic drugs. Journal of Neurology Neurosurgery and Psychiatry 31 Jan, 2013; doi:10.1136/jnnp-2012-304270.